Apple CEO Tim Cook has revealed details about a private White House meeting he had with President Donald Trump last month. The meeting, which took place on April 25, was said to be focused “on trade.” During a recent interview on Bloomberg’s “The David Rubinstein Show: Peer-to-Peer Conversations,” Cook divulged several more details about it — including how the discussion ranged from recently imposed tariffs to the Deferred Action for Childhood Arrivals program. Earlier this year, the Trump administration recently instituted 25 percent tariffs on about $50 billion of Chinese-made products. While Cook admitted that established trade policies weren’t perfect, he maintained that the Trump tariffs were also flawed. The Cupertino tech giant assembles most of its consumer products in China, which is also a critical market for the company. Bloomberg notes that Apple has yet to be significantly impacted by the brewing trade tensions between the U.S. and China, however. On the other hand, Apple has been more in favor of a recent Trump move to slash corporate tax rates. Apple, which has long stashed billions of dollars overseas, is now starting to bring some of that cash home. 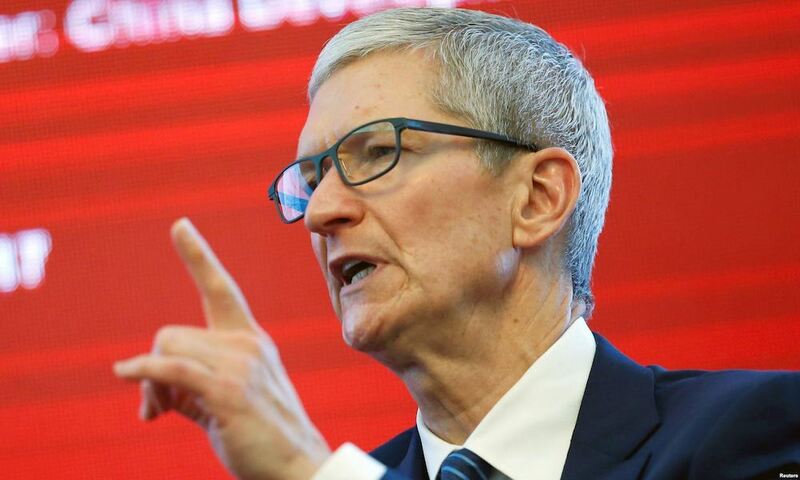 Over the next five years, Apple will work to invest $350 billion into the U.S. economy through tax payments, hiring, and capital expenditure, Cook told Bloomberg. Cook also added that he urged the president to find a solution in lieu of the DACA, which shields undocumented immigrants who were brought to the U.S. as children from deportation. Legislators have, thus far, failed to materialize any sort of law that could serve as a replacement for the DACA program, which protects some 700,000 so-called Dreamers. “We’re only one ruling away from a catastrophic case there,” Cook said. In the wake of a Trump-signed executive order last year that would rescind DACA, Apple joined a slew of other tech corporations that penned a letter voicing opposition to the move. The Apple chief executive touched upon other topics in the Bloomberg interview, including Apple’s significantly expanding Services business. He also announced that Apple Music has officially reached more than 50 million paid or free trial users. In addition, Cook said that the Cupertino firm would be making a push into original TV content and online video streaming, but declined to give any further details.